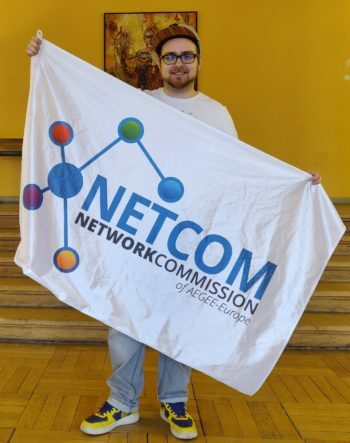 The AEGEE Review 2018 continues with a special NetCom edition. Dominic Dimian, Francesca Zorcolo, Brian Brands, Celia Riveres, Refik Barış Özçelik and Elena Panagopoulou give us their take on 2018. Best event? Best antenna? Outstanding member? Read their answers and find out! 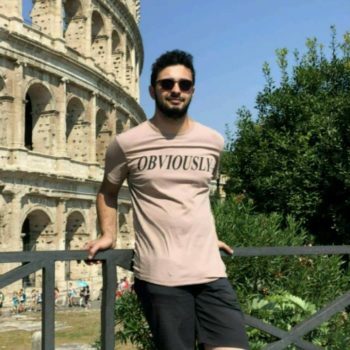 Dominic Dimian: There were a lot of great AEGEE moments in 2018. Very personal ones like the NetCom live meetings in Brussels or others like the outstandingly well organised Agora Kraków. However I think EPM Yerevan was my personal highlight as the event was a perfect match for me in regards to organisation, location, country and people. I will visit Yerevan again for sure because of this event! I want to highlight again the NetCom live meeting in Brussels in August. Spending three-four days together with this amazing team and working very productively on our projects was great and in addition to that we had a lot of fun doing teambuilding and cooking together. Also being in the house when the current CD started their term was special and I really enjoyed spending this time with my friends from all over Europe. This time I also have a secret tip: AEGEE-Dresden organised a great event called “BRNetworking” with is basically a get-together of locals in the east German-Polish-Czech area in the framework of the BRN festival in Dresden. It was the best fun event I went to this year and I want to encourage AEGEE-Dresden to organise it again in 2019! Of course I have to mention the two NetCom teams I was working with as well as my SubCommies. It was a huge privilege to work with these people and I will miss them a lot. I love all of them equally, however I want to mention Spyros Papadatos for all his advice he gave me as Speaker of Network Commission and I wish him all the best for the second half of his CD term as President of AEGEE-Europe. My two outstanding locals of 2018 are AEGEE-München and AEGEE-Erfurt who were co-organising the NWM and RTC with me. It was a pleasure and I had a lot of fun, as well as I learned a lot. Furthermore AEGEE-Passau is always in my heart and I am happy to be reunited with them after my great Erasmus+ mobility in Hungary. For sure it is Y Vote. We have a great team and I cannot wait for 2019 to come. I am a fan of the strategic planning meeting and I am curious who will be the hosting local. Looking forward to this event. No concrete plans yet as I will finish my bachelor in summer 2019. Therefore I will focus on studies and enjoy getting some rest from AEGEE-related work for a couple of months. I don’t know what comes next. We’ll see, maybe I will go to my first Summer University as a participant? This year I will spend New Year’s Eve in the small and very beautiful Czech city of Český Krumlov. If you have not been there yet, give it a try! Francesca Zorcolo: I personally have two. First the amazing Netcom Trip that I did in March: it was a real challenge, I managed to visit 11 of my beloved locals in three weeks travelling alone and doing my best to make my visit as most effective as possible for them. I had the chance to have a clear overview of how they worked and what my subcommie, the Netcom team and I could do to give them a real help. The second has been the Autumn NWM organized by AEGEE-Salerno: the feedback was really positive and I saw the participants’ motivation rising so much. That was for me the biggest achievement. I think Autumn Agora Istanbul, I really loved the event and it was a while that I didn’t enjoy an Agora without dramas like this one. Content, the AEGEE Cup, food and the best boat party ever made the difference. Marco Daniele, this is his second term as CD member and I consider him as one of the biggest promoters of the big changes we have seen in AEGEE: I am talking about the high number of new AEGEE Contacts we have, the Branded Activities initiative and about the Antenna Criteria reform that has been embraced by the Netcom as well. Of course he was not alone, but he can be definitely counted among the outstanding members of the 2018. AEGEE-Krakow for being the first to organize a thematic Agora, they started a great tradition! The Youth Development WG and European Citizenship WG did an amazing job this year! So effective and so useful in the locals’ life, I wish them a great year like the past one. I am looking forward to Autumn Agora Salerno 2019 – go people! I am also extremely curious about Europe on Track. I will spend it in Warsaw where I currently live. 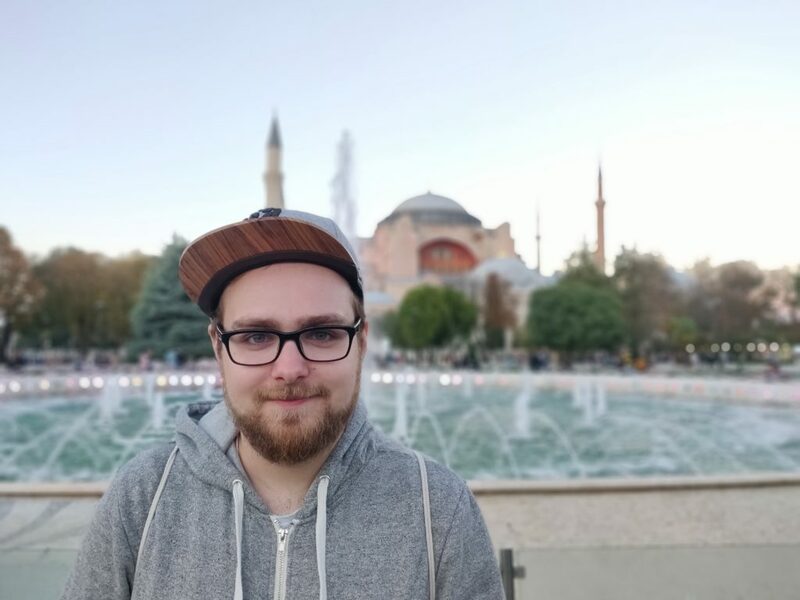 Brian Brands: My personal AEGEE highlight of 2018 was without a doubt Spring Agora Krakow, where I had to present my candidature in front of a full plenary room! It was very exciting to be running for an Agora-chosen position. The whole procedure, the questions and the general feeling of being elected as Netcommie contributed to my amazing feeling during this Agora. For me, those were two memorable moments. The first one was EPM Yerevan, where the whole atmosphere was just very good. The majority of members who attended was very motivated to make this EPM work and it was just really nice to work with them. One of the most outstanding members in 2018 was Spyros Papadatos for me. I see him as a very inspirational leader of AEGEE-Europe and CD 56, but also he was retiring as speaker of the Netcom when I joined the Commission. During my knowledge transfer and the local distribution talks at Agora Krakow, he was a huge support for both the old team and the new team. Secondly, I would like to call Dominic Dimian as one of the most outstanding AEGEE members this year. Speaker of the Netcom, but much more than that! He was not only very important for his locals, but also for the team atmosphere and the team performance. I really learned a lot from Dom; he really was a huge support for the team and a walking database! I can name a lot of locals which did an outstanding job for the Network this year, that is why it is difficult to name only a few. But I would like to start with AEGEE-Yerevan for their outstanding work for EPM Yerevan, but also for their impressive part in the Velvet revolution with natural leader Armenak at the front row. I hope that they can be just as important for young people in Armenia as they were in 2018! Secondly, I would like to name AEGEE-Paris for their amazing comeback and the efforts of the board to make the local great again! Lastly, I chose AEGEE-Aachen for their big crowd of supporters on events, including the amazing atmosphere there and for the input in the European decision making. Europe on Track did very well this year. We also welcomed them in Tilburg and the work of the project is slightly underestimated in my opinion! Not only they increased the awareness of sustainability, but they also made sure they planted a lot of trees to give us more air in the future. Big compliment for the project team and the ambassadors! More than ever, the EU is facing difficulties which are directly influencing the development of the youth and the life of many people in the Union. 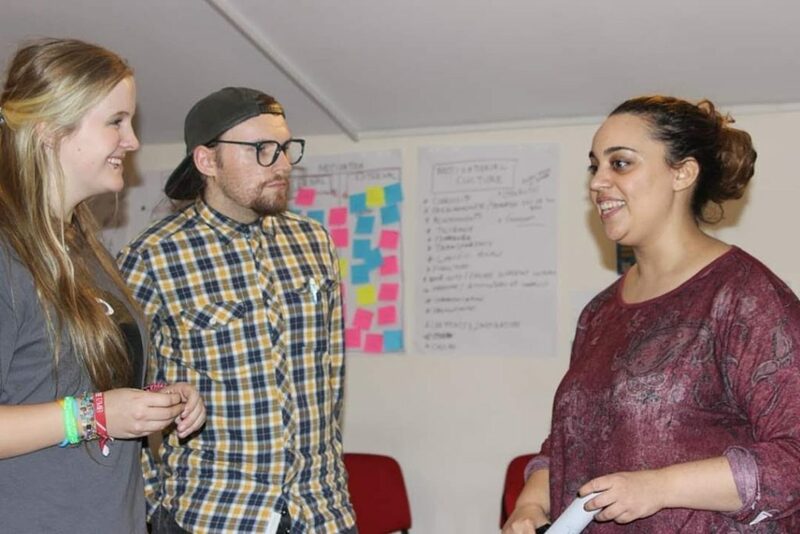 Young people are not accepting everything anymore, as we can see in several youth initiatives already in the end of 2018. I believe it is important to let our voice be heard as AEGEE and therefore the first months of 2019 are very important. EPM Izmir and Agora Bucharest should be the places where to set the first steps to work together on a better future for us, with a structural approach to some of the biggest problems which we encounter. My Netcom term will end on the first of June 2019 and until then I will focus on my locals and the additional Netcom tasks. A lot of things can happen and I am not excluding any option either within AEGEE or outside of AEGEE. I don’t know yet! My girlfriend set up a surprise trip and she manages to keep it secret until this very moment … I would like to wish you all happy holidays and an amazing 2019, hope to see you soon somewhere in Europe! Celia Riveres: When I was subcommisioner during Agora Enschede in 2017, one member from La Nave launched an idea about organizing something big thematic in our area by La Tripulación – the team of the Network Commission in charge of La Nave and their subcommies. After one year, we did it! This year, La Tripulación 10.0 organized the first Thematic Event (THEvent) in our area in collaboration with AEGEE-Madrid. This event was focused on LGBT+ during the Pride in Madrid and we learned a lot and had fun! For me, during the Agora Kraków I enjoyed some very special moments. During the Agora there was also my birthday, which made the event even more memorable. Every day I could share many special moments with the locals, which made me feel like being part of a big family. I think it is very difficult to choose only a few people in AEGEE, each member in this association contributes something and helps to develop our Network. If I have to restrict myself to three people: First, Marta Massó from AEGEE-Tarragona: currently president of her antenna, she is the person who brings back the motivation to Tarragona. For all the effort, motivation and work she has done. Second, Isa Santos from AEGEE-Valladolid: currently Network Commissioner, she was a newbie one year ago. She joined the team of subcommies from La Nave last year and worked a lot in our area. I know she and her team are going to do an awesome job this year! 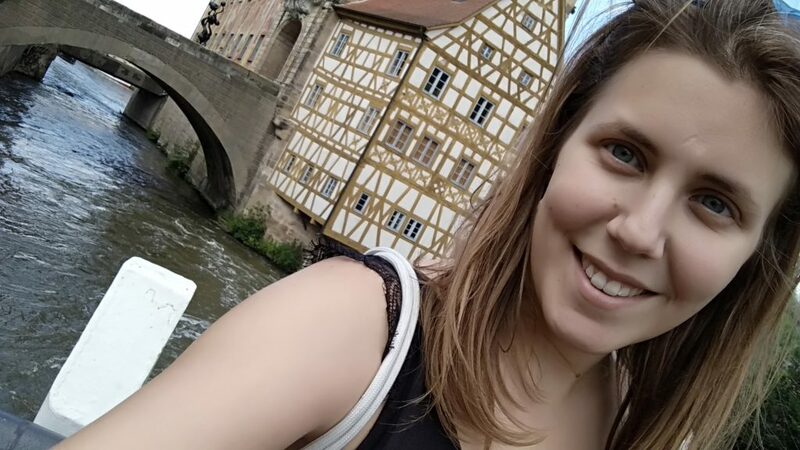 Last but not least, Laura García from AEGEE-A Coruña: currently president of AEGEE-A Coruña and former SUCT member, she carried a lot of work and is always giving the best of her taking care of the Summer Universities and the AEGEEans. Thinking in La Nave, there are two locals that did an amazing job during this year and that have put a lot of effort in trying to activate the antenna. This two locals are AEGEE-Bilbao and AEGEE-Valladolid. I am sure they are going to continue working as they have done until now and they are going to have an incredible future, I wish them all the best! I also want to commend the incredible work of AEGEE-Madrid and AEGEE-Zaragoza during the THEvent and NWM respectively. The Safe Person project has made me feel something special and made me think that we are working in the right direction. I hope that step by step this project will be extended not only during the statutory events, but during all events and activities in AEGEE. I hope that any kind of harassment and discrimination not only during events but also in our daily life can be tackled more effectively, making AEGEE a safer organization. Projects such as Safe Person or ER initiatives are of a key importance to raise awareness and help the people that are in those situations. For now, I am part of La Tripulación 11.0 trying to help them in everything they need and active member of AEGEE-Zaragoza. Furthermore, I would like to keep collaborating with the Safe Person Project. Knowing myself, I am sure I will jump into some other project related to Equal Rights. Last year 17 AEGEEans spent the New Year’s night in Lisbon and this year some of us wanted to repeat again the experience of spending the night somewhere outside our homes. We considered a lot of places and finally we are going to go to Prague – with ten AEGEEans and two muggles! Refik Barış Özçelik: For sure my answer will be Agora Krakow where I was elected as NetCom with my beloved team. It was an amazing experience for me! It must be Agora Istanbul! An amazing event and I know how much effort people put into that event so seeing that all of these efforts turn into something amazing. I would just want to congratulate the organizers once again! For my point of view, I will give credit to my dear friends Batuhan Carikci from AEGEE-Izmir, Enes Furkan Kurt from AEGEE-Istanbul and Evrim Emiroglu from the CD. 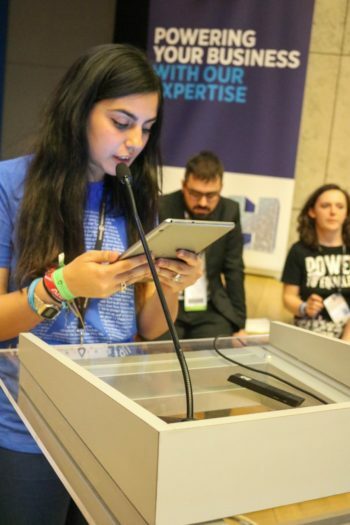 Of course, I can name many locals but I have to mention the two Agora organizers AEGEE-Kraków and AEGEE-Istanbul, which did an incredible job; also AEGEE-Antalya which made incredible improvement over a year and finished their first European event successfully: an SU and ab RTC in just a short period of time. First of all I am really looking forward to EPM Izmir which we are organizing now and I strongly believe that the sustainability topic is the right direction we should focus on. I think this will be also relevant for whole network in 2019. There are many thing that I am looking forward to which starts with EPM Izmir. I am vice-coordinator of the event and we are doing our best to make it happen. Also as a part of the Network Commission we are really looking forward to Agora Bucharest to fulfil our goals. My subcom team and I are working on strengthening the locals in my area and finding some contacts which we are close to fulfil! Of course I want to complete my Netcom term with all my aims and organize another NWM in my area so there is no time to stop at all. I will be in Sofia for six days, living my best life. I am really looking forward to that! Elena Panagopoulou: Arguably I could say my election as member of the Network Commission during Spring Agora Kraków. It was quite an intense Agora and becoming part of this amazing commission was a dream I had in AEGEE for quite some time. Great moments were also my Netcom trip in Georgia, supporting the new contact in Batumi, visiting finally the amazing AEGEE-Yerevan and the organization of RTC in Tbilisi. This journey in Caucasus was a lifetime experience and one of the main reasons I love AEGEE so much. Dominic Dimian, former Speaker of the Network Commission. He is an amazing example of quiet and caring leadership, putting his personal ambitions lower than the team’s good, always being present and knowledgeable. My fellow team members surely agree with me! Dom, I wish there were more leaders like you in AEGEE! Another great mention would be Veriko Shengelia from AEGEE-Tbilisi, main organizer of RTC Tbilisi and great AEGEEan, full of positiveness. Whoever doesn’t know her, wait and you will see! Last but not least, I would like to mention Kalipso Bzuni, for the magic she and her team are doing in Yerevan. AEGEE-Tbilisi, for organizing an amazing Regional Training Course in Caucasus. I am honored I had the chance to work with them and provide the area and the network with core knowledge and principles. AEGEE-Yerevan, my other amazing local, for organizing an amazing EPM, and most importantly, for constantly being one of the best antennae in the network. 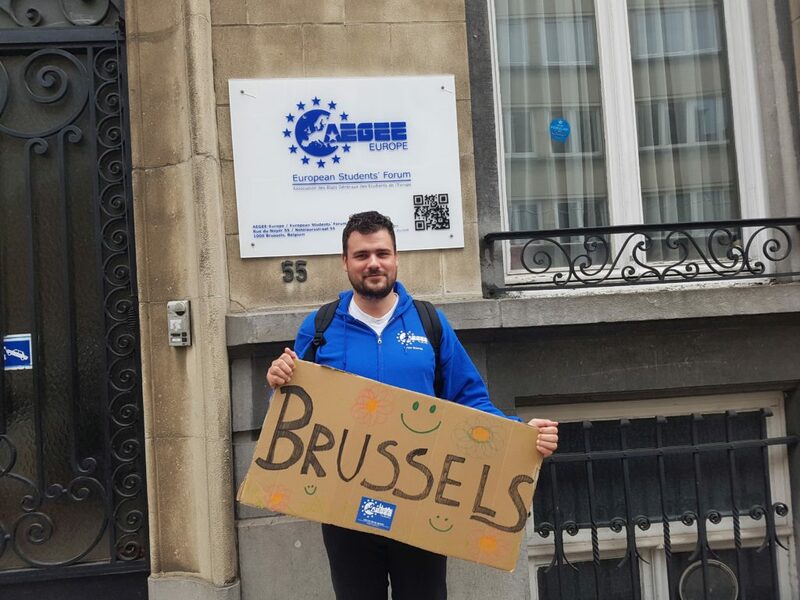 Their contribution in their local community is immense and an example of how AEGEE can educate, and make young Europeans more active and responsible for their fate. And AEGEE-Tartu for organizing an amazing Summer University, together with AEGEE-Tallinn and the Human Resources Committee. I am proud of this SU, the work, the results and the good time we had there. I am impressed with the work of the Youth Development Working Group, especially with the tackling of mental health. For me AEGEE should focus more actively on giving our members the way to develop themselves and gain tangible skills for their personal and professional growth. Network Enlargement. Lately we keep welcoming new contacts in our network, and as a NetCommie I am thrilled and amazed. But yet still I acknowledge the challenge we have to make these contacts grow while we keep the existing locals sustainable. Many people claim we can do both, enlargement and sustainability. Nevertheless I want to pinpoint the necessity for AEGEE to actually face the challenges by giving the space to the caring leadership and not to the selfish one. It is our only way to grow as an association. In AEGEE we sometimes face an Identity crisis and we don’t know why we are different from other associations. This brings tremendous problems in our locals and therefore to the network as a whole. Combine this with the lack of perspective and good judgement in many key positions and you understand the struggle we face. But I am up for these challenges and ready to contribute as much as I can to make AEGEE stronger. My biggest goal is to keep working for the Network Commission, my locals have some amazing plans for the upcoming months and I want to be by their side, helping them fulfilling their dreams and enable their members to grow. I want to give my knowledge wherever is needed. In the same time, I keep working in the HRC, the most amazing committee. Prepare yourself and expect magic from this team. Most probably, I will find myself in other projects – but only time will tell. With friends in Athens. Everybody comes back to Greece for holidays so it is a great time for reunions.